Figuring out where the best place for your newborn to sleep is a difficult process. 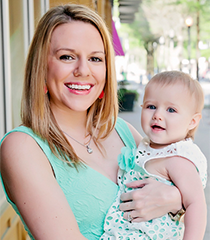 The pediatrician will recommend having your baby in a bassinet in your baby for the first few months. But there are some technical problems with this – if you have a king sized bed (which I highly recommend if you’re having kids) a lot of bassinets are going to be significantly lower than your bed is. Then most bassinets are shaped in such a way that they can’t be right up against your bed. I feel more comfortable when my baby is up high enough so I can see him from my bed and reach him quickly. Also when I need to nurse him at 2 AM and want to nurse him laying down in my bed I want him where I can get him into my bed as easily as possible. Bed-sharing can be dangerous though and I want my baby to be as safe and sound as possible. 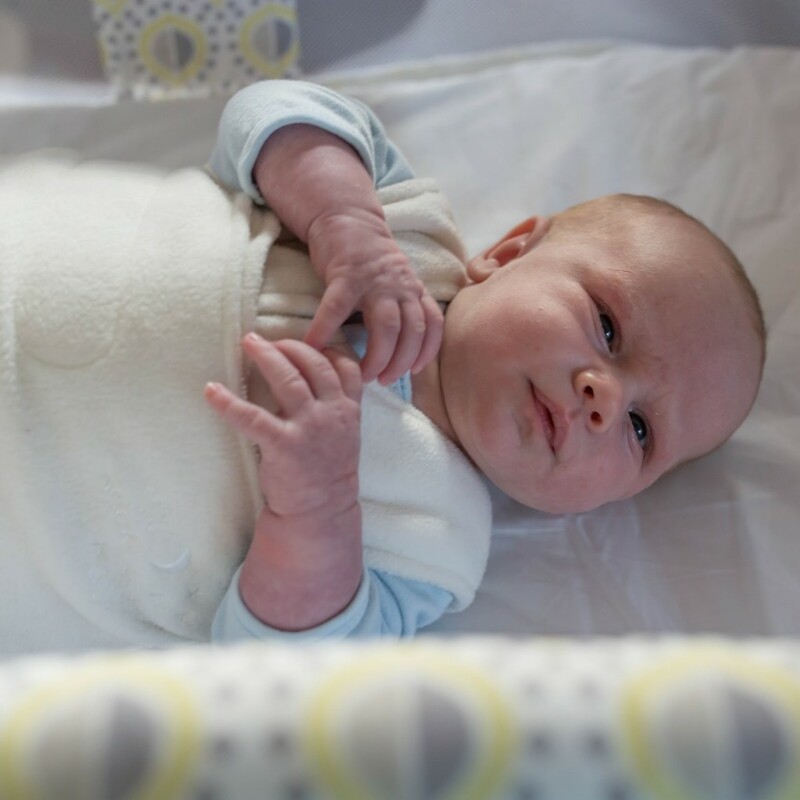 The HALO™ Bassinest™ Luxe solves all of these issues – and you can take it from someone who has 3 different bassinets sitting in their bedroom right now – this is the best bassinet that we’ve tried by far. 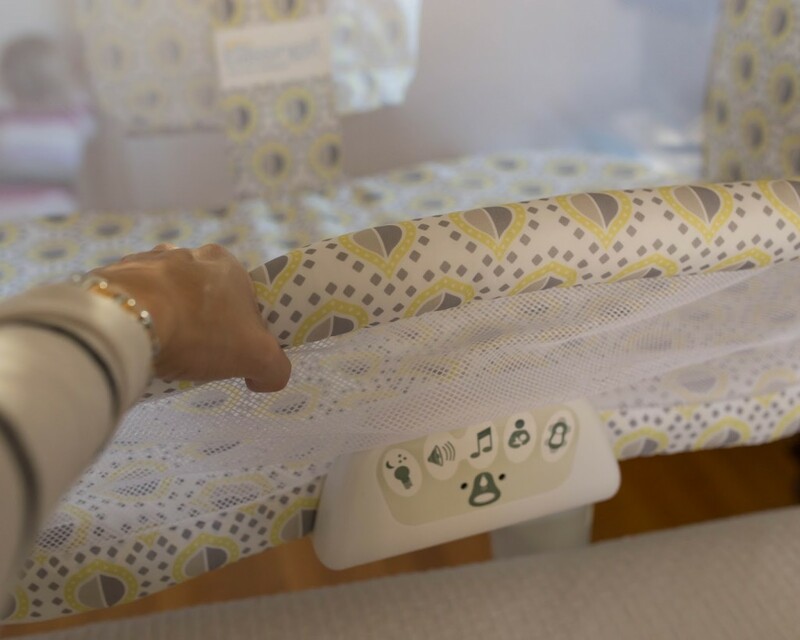 The first feature of the Halo Bassinest that stands out to me is that it is height adjustable, and how easy it is to adjust the height. 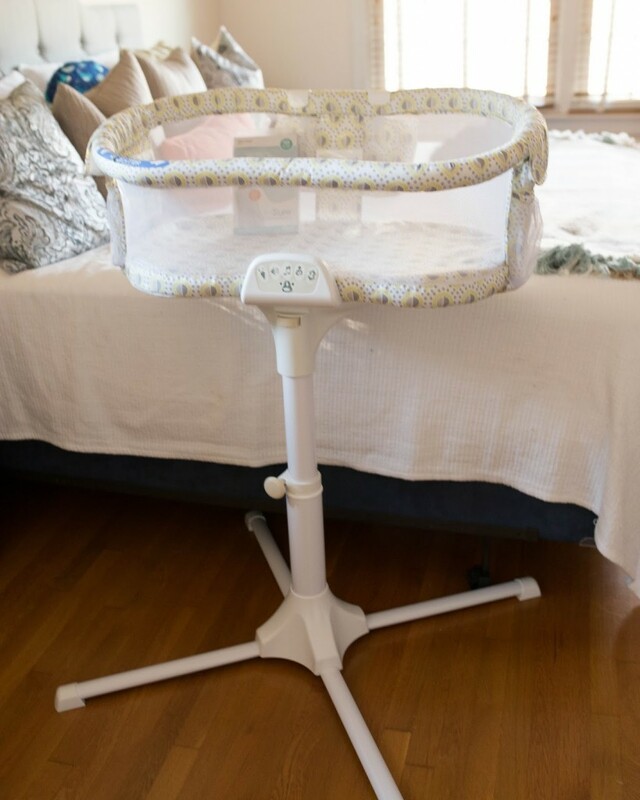 We have one bassinet that required buying extra pieces to make it taller, it felt less secure with those on it, and it still wasn’t heigh enough to be at the same level as our bed. Another bassinet we own isn’t height adjustable at all, and if we want to use it I have to get out of bed to get baby out of it. The HALO™ Bassinest™ adjusts heights easily by turning a nob, and is incredibly secure no matter what height it is at. The next feature I’m obsessed with is the 360 degree swiveling that the HALO™ Bassinest™ is known for. This makes it easy to bring baby into bed and get him out for nursing, and also makes it easy for me to get in and out of bed which is a problem we faced with other bassinets. The rail of the bassinet that faces the bed presses down to make it easier to get baby out of the Bassinest, or can be locked for baby’s safety. 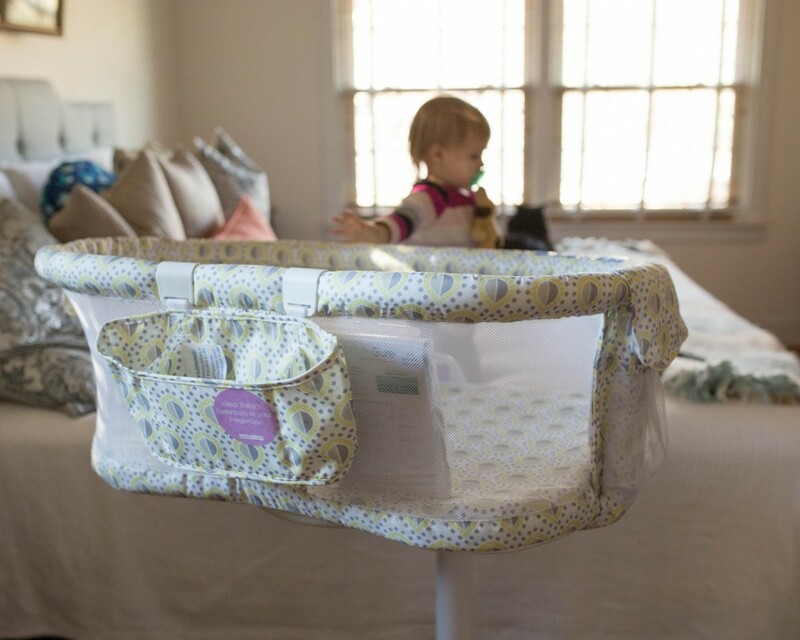 There are also some extra features on the Bassinest™ to make nights easier for both moms and babies. There is a button to make the Bassinest vibrate, one that plays music or white noise for baby, a nightlight, and a nursing timer. There is a storage caddy that fits on the back of the Bassinest for storing baby essentials. Tripp has been sleeping great in his Bassinest™, which means I’ve been sleeping great, which is huge. More than anything I wish we could go back in time and have this product when Maddie Grace was born because I think it would have helped us out immensely. I typically nurse him, put him in his HALO swaddle, place him in the Bassinest™, and turn on the vibration and the white noise. The white noise turns itself off in about 20 minutes so it’s not on all night. Tripp will typically sleep a 5 hour stretch, wake up to nurse, sleep another 2-3 hours, wake up to nurse, and then sleep another 2 hours. I love having Tripp really close to us, but also knowing that he is safe. 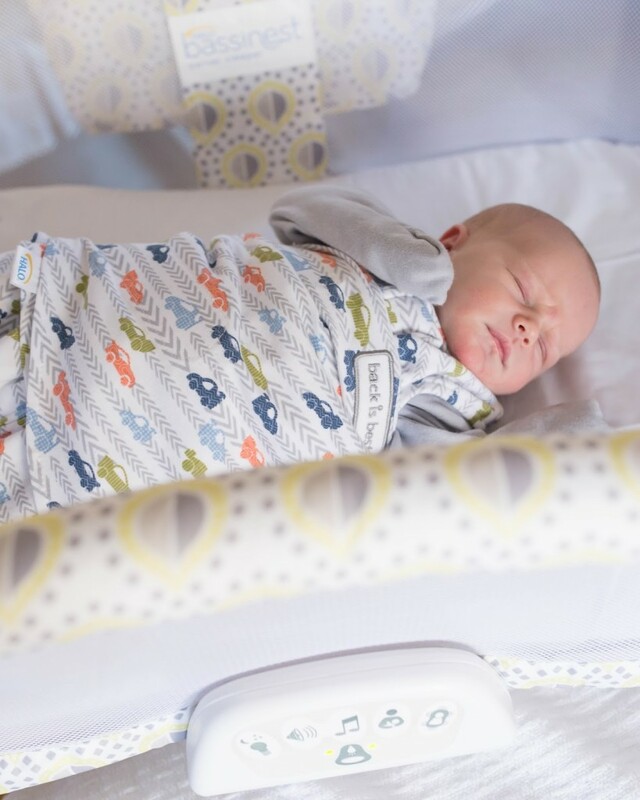 I do think that the HALO™ SleepSack® Swaddle helps Tripp sleep longer stretches. 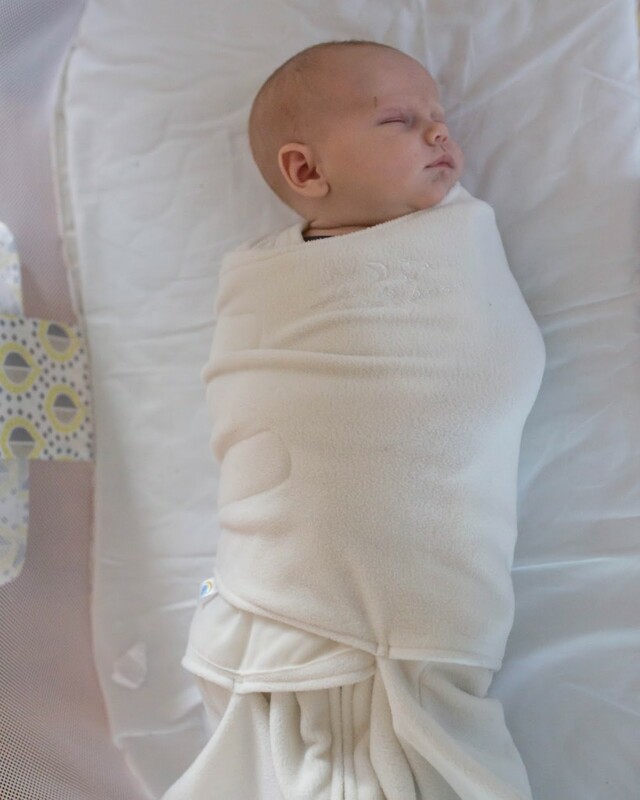 We’ve tried a lot of swaddles already with trip, and find that the Halo swaddles work really well, and we especially love the HALO® SleepSack® Newborn Swaddle Micro-Fleece. It’s nice and warm which is great since it’s been cold here, and keeps baby warm all night without us having to worry about any dangerous blankets in his sleeping area. Tripp seems to sleep best when swaddled but with his arms out so I really like that this swaddle gives us that option. Having the zipper go bottom-up makes nighttime diaper changes a breeze. 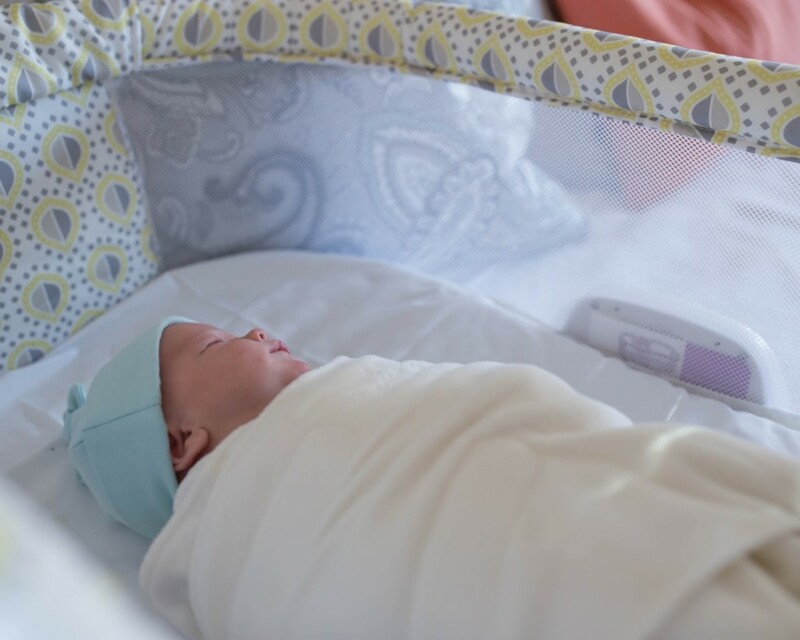 I’ve partnered with HALO® to give one lucky reader a chance to try a swaddle themselves – just enter using the form below! Good luck! I need one of these for baby number 2… He looks SO cozy! I LOVE Halo sleep sacks! They're the best! How mothers survived without the Halo Sleep Sacks I will never know! This is my go to baby shower gift! I would love one of these for baby number 1! WIth my two year old, we could not live without the sleep sack. We are due in August and the bassinet would be a dream. Swaddling seems to help baby sleep the best. I plan on limiting naps during the day, as best I can. I know it's hard to wake a sleeping baby, but hopefully that will help her sleep better at night. This looks great and far better than any of the bassinets I have looked at! I'm hoping I'm the lucky winner! My name is Caralee Moore. I DON'T HAVE ANY TIPS, BUT I'M HOPING THAT SWADDLING AND STICKING TO ROUTINE WILL HELP!